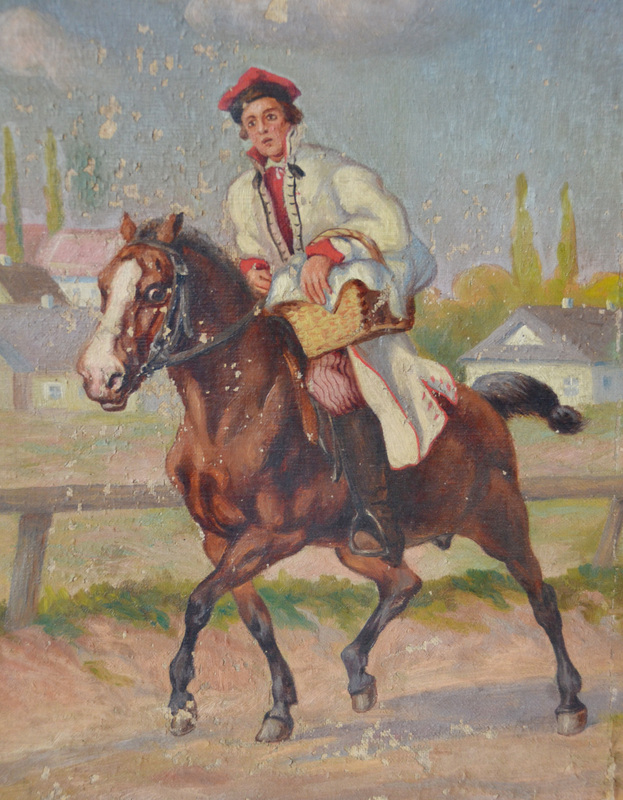 This antique oil painting is simply the best. With the beautiful colors and expressive details it is just gorgeous. 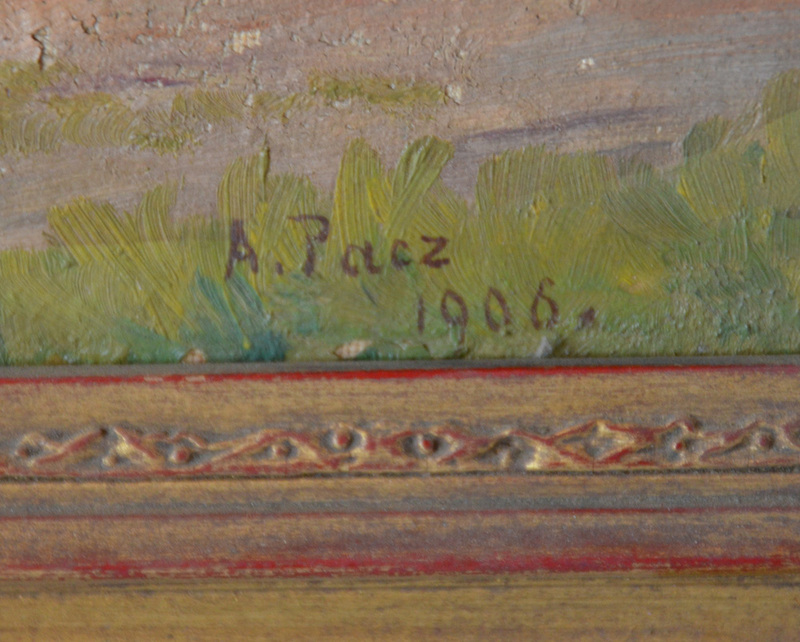 Signed and dated by A. Pacz 1900 and in the original frame. This was once part of a gallery in NYC, and the original gallery sticker label is still on the back of the painting. Painted on canvas with some paint loss as shown in the photos. 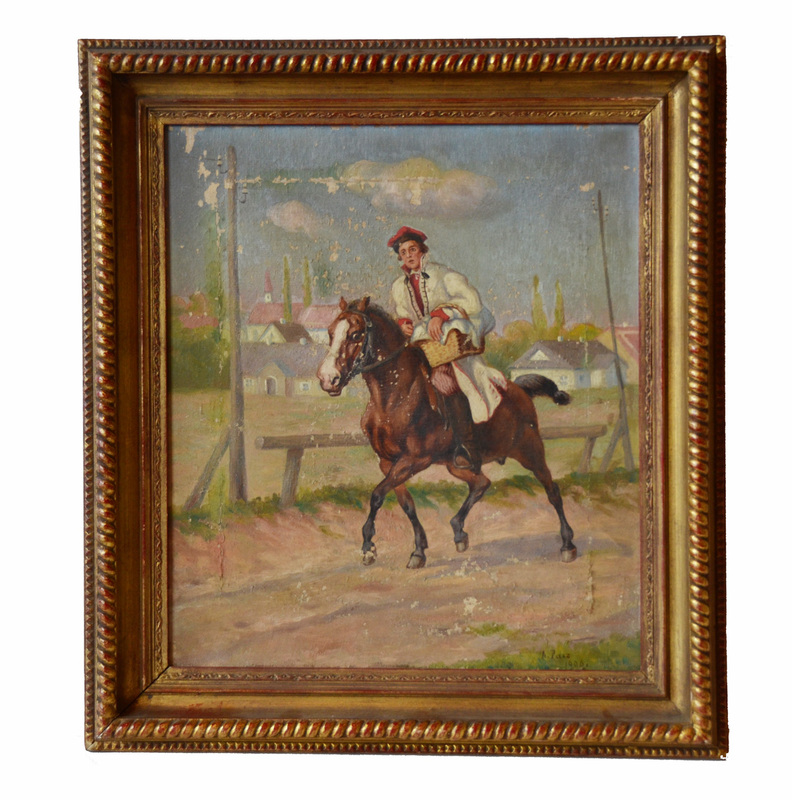 This is a treasured piece and would be a wonderful addition to any collection or room.